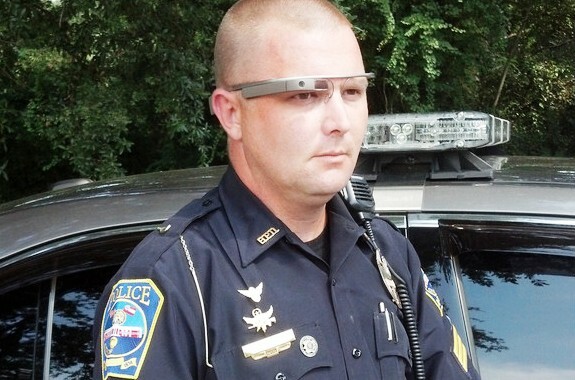 Police departments throughout the U.S. are considering the use of Google Glass as a crime fighting tool. During a press conference last week, New York City Police Department Commissioner Bill Bratton confirmed the department is already using the smart glasses. More than a dozen departments are interested in equipping their officers with Google Glass, the wearable device that has the capacity to record activity hands-free, and could potentially supplement police work and make daily operations for officers in patrol a little bit easier. While the device has flagged up so many legal arguments and privacy concerns it can be used to provide instant access to essential data for cops on patrol. This could be the foremost step toward obtaining a person’s identity, address, personal history and any outstanding warrants just by simply looking in their general direction. An officer can simply enter a crowded area and use this smart Glass to pick out and ascertain any criminals present, the New York Post reports. The criminals can be easily identified. On the other hand, the security of the police officers will also increase. In addition to identification, Google Glass can also be used to record video and audio, which may then be called upon as significant evidence in court. Concerns have already been raised in the US that the use of the audio recording functions of Google Glass by police officers may infringe the Wiretap Act, and also the Fourth Amendment’s protection against unreasonable searches. Meanwhile the police officers are trying to better understand how the glasses work in case they come upon people using them while on the job. When the glasses become more commercially obtainable, officers will be running into questions about how to deal with people wearing them. Recently a woman in California was acquitted of any wrongdoing after being pulled over by police for using Google Glass while behind the wheel. The pilot program is not an official project with Google. Google Inc. admitted that the NYPD obtained the $1,500 per piece smart glass with its own funds to embark in field testing. Currently, Google Glass is not commercially available in the market but the product can be availed through Google’s Glass Explorer Program. US residents over the age of 18 can apply online to become a part of the project and can purchase the device for $1,500 each.